A range of true temporary hair colours. VEGETAL colours enhance the shine and clarity of your natural hair colour whilst greatly improving the condition of the hair. However because the VEGETAL colours do not contain PPD or Peroxide the effect on grey hair is somewhat unpredictable depending on the type of hair it is applied to. We do have many customers that use the VEGETAL range because they either have a PPD sensitivity or choose not to use permanent colours and they find the effect on their hair is good enough for their purpose. VEGETAL colours will last for 6-8 washes. VEGETAL colours do NOT contain Ammonia, PPds, Hydrogen Peroxide, Resorcinol, Parabens, Fragrance or Alcohol. 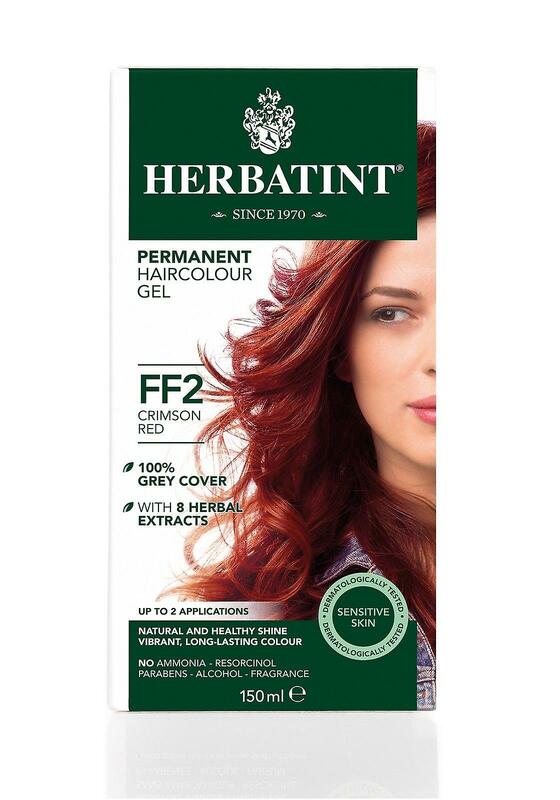 Easy to Apply Herbatints gel based hair color is easier than ever to mix and apply. The leftover unmixed product can be stored for future applications. For first time users, please note that the Herbatint application kit, containing a brush, measuring cup and protection cape is sold separately. This reduces waste as all items included are make to be re-used. Glycol developer ingredients: Aqua (Water), Hydrogen peroxide, Etidronic acid, Trideceth-9, Cetrimonium chloride, Simethicone, Propylene glycol, PEG-40 hydrogenated castor oil. Herbatint Normalising Shampoo ingredients: *Aqua (Water), Magnesium laureth sulfate, Cocamidopropyl betaine, *Aloe barbadensis (Aloe vera) leaf juice, *Moringa pterygosperma (Moringa) seed extract, *PEG-75 Meadowfoam oil, Imidazolidinyl urea, Palmitamidopropyltrimonium chloride, Parfum(Fragrance), Sodium dehydroacetate, Propylene glycol, Sodium benzoate, * Citric acid, *Glycerin. Royal cream conditioner ingredients: *Aqua (Water), *Citric acid, Cetyl alcohol, Behentrimonium chloride, *Aloe barbadensis (Aloe vera) leaf juice, *Moringa pterygosperma (Moringa) seed extract, *Triticum vulgare (Wheat) germ oil, *Oryza sativa (Rice) bran oil, *Simmondsia chinensis (Jojoba) seed oil, PPG-3 Benzyl ether myristate, Methyl gluceth-20, Ethoxydiglycol oleate, Isopropyl alcohol, Sodium dehydroacetate, Sodium benzoate, Parfum(Fragrance), Imidazolidinyl urea, *Tocopheryl acetate, *Glycerin.